One of the oldest yet most modern fabric houses in Australia, is Wortley. This family run business has been in Melbourne since 1953. But The Wortley Group did not get stuck in the 1950's. They evolved with the times and are now known as one of the leading suppliers of furniture fabrics in the world. The Wortley Group develops, stocks and distributes their fabric from their base in Melbourne. They currently stock over 25,000 items. This ensures that they have something for everyone's taste and design style. Wortley designs and stocks both residential and commercial fabrics. They test each product individually and their fabrics are all backed by their exclusive Three Year Residential Warranty. One thing Wortley is proud of, is their ability to deliver a fast and efficient service. In order to do this, they keep their warehouses heavily stocked and hold to their promise of same day dispatch for any fabric ordered from them. The Wortley Group is well known for top quality leather. They distribute leather under the Tasman, Gosh and Wortley brands. With a range of more than 300 different leathers, you are sure to find one that will suit your needs. 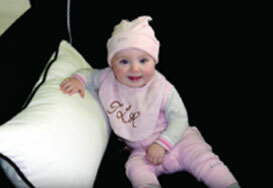 Leisure Lounges is proud to manufacture custom made lounges covered in any one of the range of Wortley Group fabrics.